Mutual Bank under scrutiny for corruption. One of the dodgiest deals undertaken by the corrupt VBS Mutual Bank was introduced by an ANC front company keen on taking a finder’s fee plus 10% in shares, in what was meant to be a R250-million deal. VBS signed up to buy a 26% share in Insure Group Managers (IGM or Insure, for short) in December 2016 for R250m. IGM is an independent financial services company, providing premium handling services including debit-order collections, deposits and premium disbursements on behalf of insurers and brokers. The Reserve Bank commissioned an investigation by advocate Terry Motau and Werksmans Attorneys. Their report, “The Great Bank Heist”, which was published in October found that the deal was a sham. On paper, VBS acquired the Insure stake through its main shareholder company, Vele Investments, which was also controlled by the bank’s chairman Tshifhiwa Matodzi. But how the deal was concluded was anything but legitimate and the signs were all there that something was seriously amiss. The involvement of a secretive “ANC cabal” in the deal had dire real-life consequences: companies were forced to sell assets to cover losses, followed by suspensions, retrenchments and business rescue. Yet when the Party men involved were contacted by Noseweek, they claimed they had “no idea” that the bank – and their deal – had been riddled with fraud. But one look at the documents in Noseweek’s possession shows that that is most unlikely. All the signs were there that VBS was acting as a rogue bank, but the promise of big commissions and easy money clearly proved irresistible. VBS bought Insure when the bank chairman Matodzi effectively created the money needed out of thin air by simply writing a number in the bank’s books. However, real withdrawals were then made in favour of a well connected few. Insure was even inspired to deposit R18m into a VBS account that offered favourable interest rates. By the time the bank was placed under curatorship in March, only R75m remained in the falsified account. Insure’s chances of recovering its deposit are slim. Some history: Johannesburg dealmaker Paul Marais had been operating in the property development and student accommodation arena for several years when he realised that in order to move on to larger deals he would need the right BEE partner. 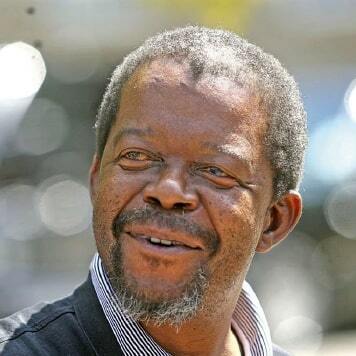 He was pointed in the direction of Paul Langa, who for years has headed Zonkizizwe Investments (Pty) Ltd – a company effectively owned by the ANC – and to former spy boss Billy Masetlha: together they formed Dzothe Investments (Pty) Ltd.
Other members of Dzothe Investments were former ANC treasurer Mendi Msimang, former High commissioner to Mozambique Dikgang Moopeloa and KwaZulu-Natal political operator Alex Mmethi. Dealmaker Marais was the CEO. Zonkizizwe took a 51% stake in Dzothe Investments. The other 49% was owned by Marais through a firm called Thabeng High Impact fund (Pty) Ltd. According to Marais, giving VBS Bank a R250m stake in Insure was initially “never part of the plan”, as he had wanted to create a company specialised in agriculture, property development and investments, student housing, affordable housing, renewable energy, water and sanitation as well as short-term insurance and micro lending. By 2015 they had already advanced fairly far in purchasing a micro-lender from JSE-listed African Dawn Capital Ltd (Afdawn), called Elite Group, for R20m as part of their overall strategy to become a new player in the market. “Charl Cilliers [Insure’s CEO] told me he was looking for a BEE partner with money to inject equity into Insure,” said Marais, who initially felt Langa & Co would be a good fit. 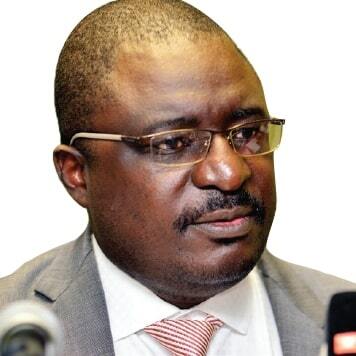 He said it was during negotiations with VBS, around June 2016, when the bank’s CEO Andile Ramavhunga undertook (on chairman Matodzi’s authority) to make a R120m facility available to Dzothe for student accommodation, that it occurred to them to offer the bank the Insure deal. “At that point Dzothe was keen on buying into Insure, but Matodzi said we should give Insure to him and we would just make the commission,” said Marais. He added that Paul Langa (the ANC’s investment man) dealt with VBS and had introduced Insure to the bank, hoping to score a cool R5m for doing very little. They also seemed content to keep it all verbal and off the books. When nothing was paid over by April 2017 a Dzothe directors’ meeting was called at Langa’s Zonkizizwe Investments office at 311 Surrey Park, Randburg. The minutes of the meeting show that Marais inquired about the “R5m commission payment to Dzothe Investments as promised by the VBS chairman”. It was noted that Langa said the payment should have been made on 22 April 2017. Marais also asked what had become of “the 10% share allocation of Insure [shares] to Dzothe Investments following the successful conclusion of the Insure Transaction”. In the minutes it is recorded that “Masetlha explained [that] it was agreed by both parties that an additional R5m will be paid to Dzothe Investments.” It is noted that the R5m commission was “a verbal undertaking between the chairman of VBS, Langa and Masetlha”. There was nothing in writing – as was the case for the alleged 10% in Insure shares that Dzothe had been promised. It is also recorded in the minutes that “Masetlha emphasised that the funds [still] had to be sourced and we had to allow the chairman of VBS reasonable time to source the funds”. Which raises the obvious question: If the bank claimed it could provide a facility of R120m, why could it not find R5m? None of the men involved could have been in any doubt that everything was not straight and true at VBS Bank. Yet they pressed on. Under “Action to be taken” it is recorded: “Langa to draft a letter to the VBS chairman” with the letter to be vetted by Marais and Masetlha. The letter was sent the following day to Matodzi. This was the first time that anything related to the deals concluded between them was recorded in writing. Langa expressed his company’s “congratulations” on the bank’s purchase of a major stake in Insure, adding they could “only hope and believe the acquisition will yield handsome dividends over time”. He then went on to say they wanted to “discuss a referral fee of at least 2% for the Insure transaction”. The Dzothe directors then wished to “propose and discuss” the acquisition of a short-term insurance broker and for Insure to assist in setting it up, he wrote, adding that VBS should consider “opening up a space for Dzothe to have a stake in Insure”. The sought-after 2% referral fee never materialised. Eventually, on 1 November 2017 Jan van der Walt – who told Noseweek that he was the “bookkeeper” for Dzothe Investments and also the chairman of Marais’s company Thabang High Impact Fund (Pty) Ltd – sent a letter to Matodzi demanding the R5m commission and the “10% shares of Insure promised to Dzothe”. Despite Dzothe’s being packed with people who claimed to understand business and who touted their deal-making ability, it all ended in multiple fallouts. Insure’s Celliers was suspended after he was found to have pocketed R12m from the sale of shares to VBS. In addition, despite knowing he was dealing with a crooked bank, he had nevertheless deposited company funds into the bank. Insure is now under curatorship, owing various of its clients huge sums: Santam alone is reportedly owed R1.2bn in unpaid premiums. Dzothe’s deal with Afdawn collapsed as VBS failed to put up the funding it had undertaken to provide. Afdawn had to sell other assets as it had a looming tax bill that needed to be settled. But bizarrely, when Noseweek contacted Langa for his comments on the matter he denied any involvement whatsoever, claiming Marais had done all the work and he had “no influence”. He claimed documents verified by Noseweek had been falsified. In a long telephonic rant – replete with claims that Afrikaners are behind a conspiracy targeting black African people – he said he “doesn’t know Billy [Masetlha]”, that he never sat in any board meetings held at his office concerning Dzothe and that “Afrikaners can do what they want”. He then accused the media of “insulting” former president Jacob Zuma. Billy Masetlha accused this journalist of being “abusive”. Just how is unclear. Noseweek had phoned him without success. He returned the call, which was missed, and when Noseweek phoned him back, he made it clear he would not answer calls from this number again, then hung up. We sent him an SMS but he failed to respond.